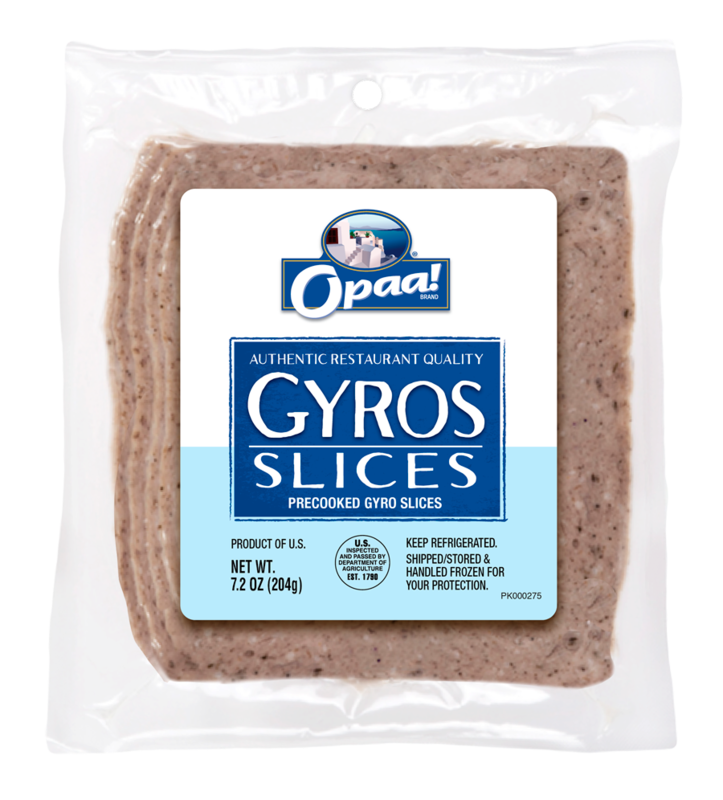 Fully cooked and sliced premium gyros meat in a convenient 7.2 oz. peg board-ready pack. Just reheat gyro slices on a stove top or in the microwave. 23g of protein per serving. Beef, Cereal Binder (Corn Flour, Wheat Flour, Rye Flour), Water, Bread Crumbs [Wheat Flour (Malted Barley Flour), Yeast, Salt], Seasoning (Spices, Dehydrated Garlic, Yeast Extract), Onions, Lamb, Contains 2% or less of: Lemon Juice Concentrate.